On his Fatman Beyond Podcast, Smith revealed that he was able to observe some of the behind-the-scenes material of Justice League while he was visiting Star Wars: Episode IX in the U.K.
With Justice League shooting at Pinewood Studios in London, Smith said he was able to hang out with “people who worked on both versions” and that these are the kind of people who had plenty of access to pre-visualization materials and other aspects of the franchise planning stage. “They saw Jim Lee breakdown boards for all three Justice League movies,” Smith said. Again, we knew that Snyder had a vision for the film, we just didn’t know how big it would be. 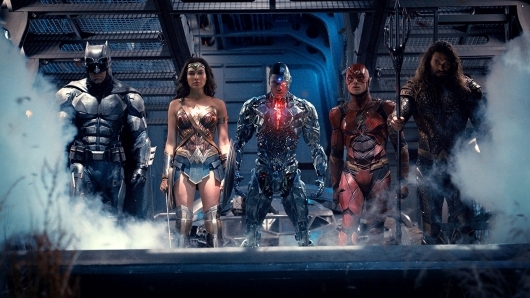 But based on the film’s trajectory, at the time, Justice League was just the beginning, as its ending was supposed to leave the door for something bigger and darker. Something like Darkseid. Smith also addressed that vague shot of Alfred speaking to a mysterious character in one of the Justice League trailers. At the time, many thought it was a resurrected Superman, who returned to one of Batman’s strongholds to find out where the rest of the heroes are. But that shot never even made into the film itself. And if it did, the person that Alfred was talking to would not have been Superman. It would have been Green Lantern. “Justice League 2 was going cosmic as they take the fight to Apokolips…and the Lantern Corps was involved,” Smith said. Well, now we can see how Green Lantern Corps may have played a role. But it looks like even adding a little green to the team would not have helped, as Smith reveals that Justice League 2 would have ended poorly for the team. He compares that ending to that of The Empire Strikes Back and Avengers: Infinity War. He adds that Darkseid would arrive on Earth, only to decimate it and turn it into the wasteland that we saw in the Knightmare sequence in Batman v Superman: Dawn of Justice. This would have been a very ambitious plan. But one has to wonder how the Wonder Woman, Aquaman, and Shazam! standalone films could have fit into that or if the Justice League films would have changed their tones. As it stands, DCEU films following Justice League don’t seem to care at all for being a piece that sets up a larger movie event.